On 3 March 1916, 25 Officers and 451 other ranks of the Cheshire Yeomanry departed from Devonport on board HMT Haverford. 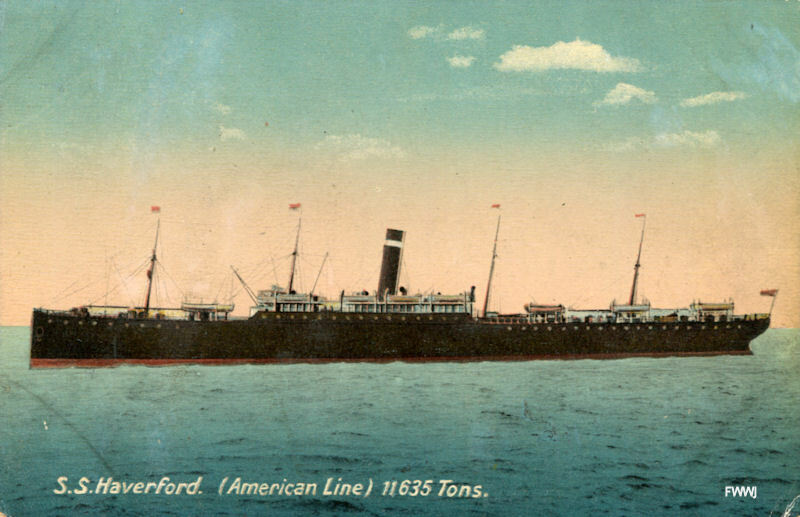 The ship arrived safely at Alexandria, Egypt, on 14 March 1916, where the men remained on board until the following day. In reference to rumours about the Cheshire Yeomanry, the town-clerk of Chester has asked us to state that Mr. Arthur Boumphrey, of Lymm, Cheshire, has received a cablegram from his son, who is with the First Cheshire Yeomanry, stating that they have arrived safely at a port “somewhere”. Arthur Boumphrey was a cotton broken and head of Messrs. A.B. Boumphrey and Co., of Liverpool and Manchester. His eldest son was Joseph Walley Boumphrey (1884-1955, born Cheadle, Cheshire) and who was identified in the 1911 census as a Cotton Salesman. Joseph was a 2nd Lieutenant with A Squadron, Cheshire Yeomanry. In December 1916 he transferred to the Royal Flying Corps, and the London Gazette notes that he was to be temp. Lieutenant from 1 August 1917. He was reported missing in the Western Theatre of Operations on 30 September 1917; taken prisoner he was repatriated on 14 December 1918. (See Lives of the First World War: Profile). 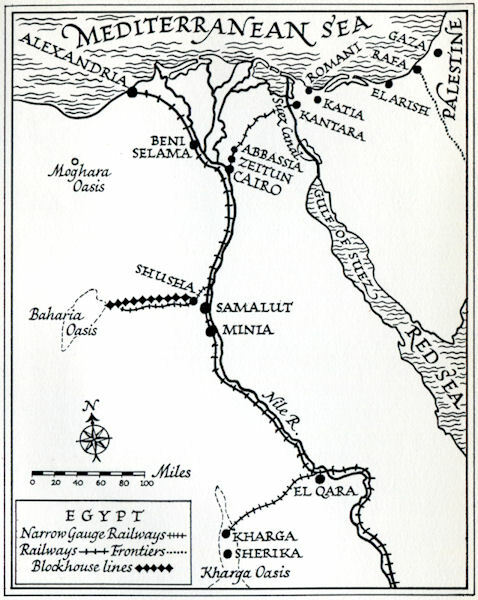 After a five hour journey the Cheshire Yeomanry reached the village of Wardan near the Nile from which it made its way to Beni Salama nearly four miles away. There it found no preparations for its reception had been made. The men had to sleep the first night on the ground and eat the food which they were carrying with them, mostly iron rations. When tents were later provided, nine men were allotted to each and they were uncomfortably crowded. After a week the dining area was given a roof, which helped keep the food free from the soft desert sand which blew in every direction whenever there was the slightest wind. There were six Yeomanries at Beni Salama; Shropshire, Cheshire, Denbighshire, Pembrokeshire, Montgomeryshire and Glamorganshire. These had previously formed two Mounted Brigades, and on 20 March the two Brigades amalgamated forming the 4th Dismounted Brigade under Brigadier-General Herbert. The men settled into a new routine: reveille was as early as possible, followed by physical drill, and breakfast at 7 a.m.; then there were route marches, tactical exercise or squadron parades, and lunch at noon; rest, or lectures until 4 p.m., then more squadron parades, tea at 5 p.m. and bed at 9 or 9.30 p.m. It took a month for sun helmets and khaki drill to be issued; initially the men had to wear the same thick serge tunics that had been used in England, and entirely unsuited to the Egyptian climate. They remained at Beni Salama until 18 April, when they left for Minia Camp, 150 miles south of Cairo. The father of Joseph Whalley Boumphrey was Arthur Burrows Boumphrey. Not sure how the reference to Alfred has come about. Is it a mistake in the paper or a transcription error?